Rebecca values photography, and schedules a session each year with her "partner in crime", John. John loves making Rebecca happy and goes along with having photos taken each year. That being said, it's not always easy being in front of the camera. I've put together a few tips for making your couples session fun, and relaxed for everyone involved. Tip # 1: When planning your session with your photographer, pick a location that is meaningful to you. Think about where you enjoy spending time together. What do you do for fun? Incorporate some of those places and activities into your shoot. 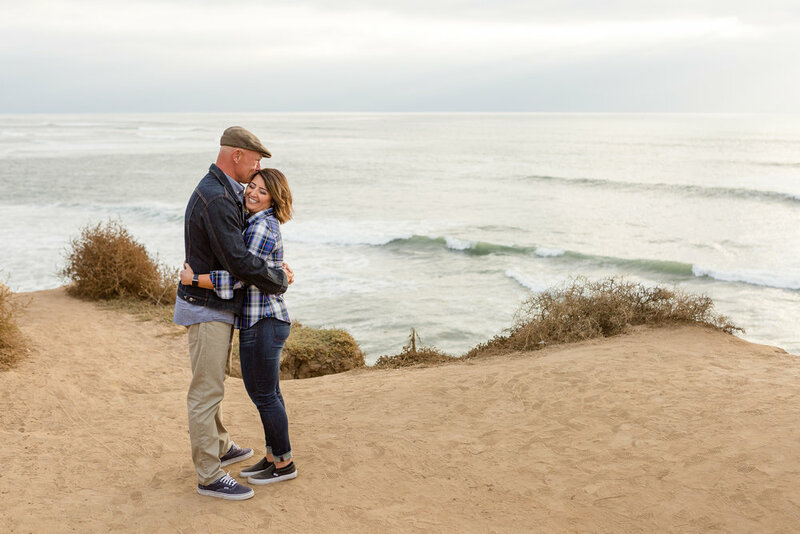 Rebecca and John have had some really fun location ideas around San Diego. I love hearing their ideas and when needed, helping select locations that compliment them and their unique personalities. Tip #2: Dress to fit your style. I send my clients a style guide prior to their session to help answer any wardrobe questions. The most important thing is selecting an outfit you feel confident in. When you look good, you feel good and vice versa. Feeling confident will help you feel more relaxed in front of the camera. Tip #3: Don't be afraid of a little liquid courage. Having a drink together before your shoot can help you both relax and ease into your session. I've found it gets people laughing too, and is there anything more adorable than a couple laughing together?! Rebecca and John opted to have some samplers at Ocean Beach's Belching Beaver. It was a fun start to their session and I think an adorable memory they can look back on years down the road. Tip #4: Be yourselves. Photoshoots don't have to be stiff and posed. I will set a couple up in position I'm envisioning but I love when the couple make it their own. Snuggle in closer, kiss your partner on the cheek. Look at each other and make the other person laugh. Connect with your partner and you'll start to tune out that someone is snapping photos of you. Enjoy a quiet moment together. These two definitely rocked that aspect of their shoot. I love the way they crack each other up. It's obvious they have a lot of fun together. Tip #5: Treat yourselves to a date afterward. Your session is over, its dinner time- so turn it into a date night opportunity. Finishing your evening with dinner out is a fun reward for everyone. 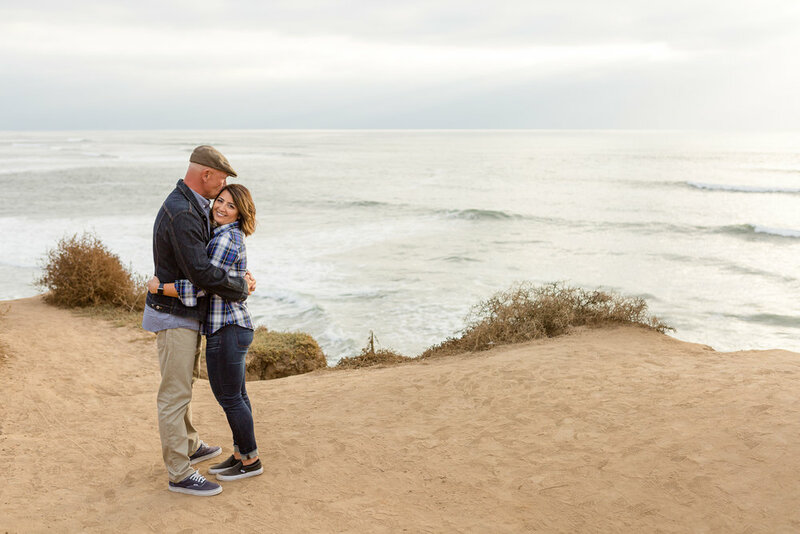 I hope these tips help you plan for future sessions with your loved one. If you've always wanted professional photography but haven't scheduled a session yet- or it's been years, I encourage you to set something up. The sooner the better! Having photos taken is like brushing your teeth; you don't always want to do it, but you don't regret doing it afterward. Cheers!